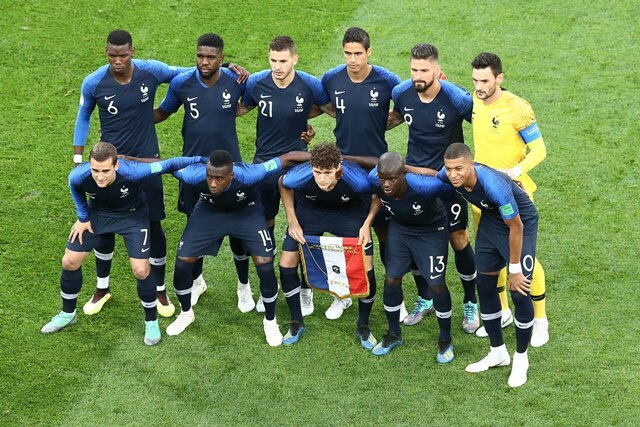 Paris: French football talent Kylian Mbappe has been elected French Player of the Year, the France Football magazine announced on Tuesday.The World Cup winner Mbappe, who had spent his 20th birthday just five days ago, finished atop in the vote ahead of Raphael Varane and Antoine Griezmann. The latest laurel was another recognition for Mbappe's breakthrough year of 2018. He helped France claim its second FIFA World Cup title this summer in Russia, winning the tournament's Best Young Player award himself.On club level, Mbappe became the winner of Ligue 1, French Cup and French League Cup with Paris Saint-Germain. He scored 34 goals in all competitions in 2018. The French Player of the Year is presented annually by the France Football magazine since 1959.Originally, only French players playing in France were eligible, before French players playing abroad were also taken into consideration for the award, whose jury is currently composed of former winners and magazine editors.Last year's winner of the award was Chelsea midfielder N'Golo Kante.